Until recently Lucy Guardino was a rising star in the FBI. But after disobeying orders and killing a man, Lucy’s been sidelined, chained to her desk. When a mysterious letter arrives hinting that, thanks to Lucy, the wrong man was blamed for a string of rapes, kidnappings, and killings four years earlier, Lucy jumps at the chance to re-open the case – despite orders to leave it well alone. Her unofficial investigation takes her back to the small town that thrust her into the spotlight four years ago, when she saved the killer’s last victims – before the killer took his own life and that of one final victim: a mother who left a ten year old son and loving husband behind. What Lucy doesn’t know is that what happened four years ago was all a lie fueled by sacrifice and betrayal, designed to shield the real killer. With the lives of her family, a group of innocent children, and the future of one desperate boy at risk, Lucy races to stop an innocent from killing and a killer from butchering more innocents. 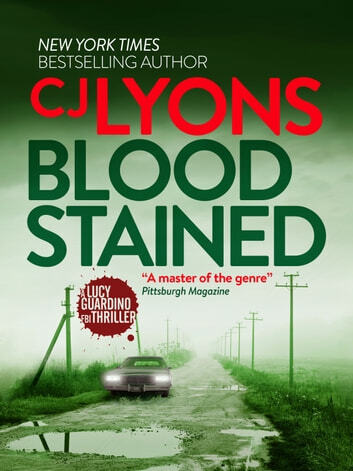 Renowned crime thriller writer CJ Lyons and FBI Agent Lucy Guardino return in this utterly gripping novel which will enthrall fans of Mark Billingham and LJ Ross. What can I say? C.J.Lyons books have it all keeps you on the edge of your seat, love this series with twists thrills, and a kick ads female agent. Brilliant writing.